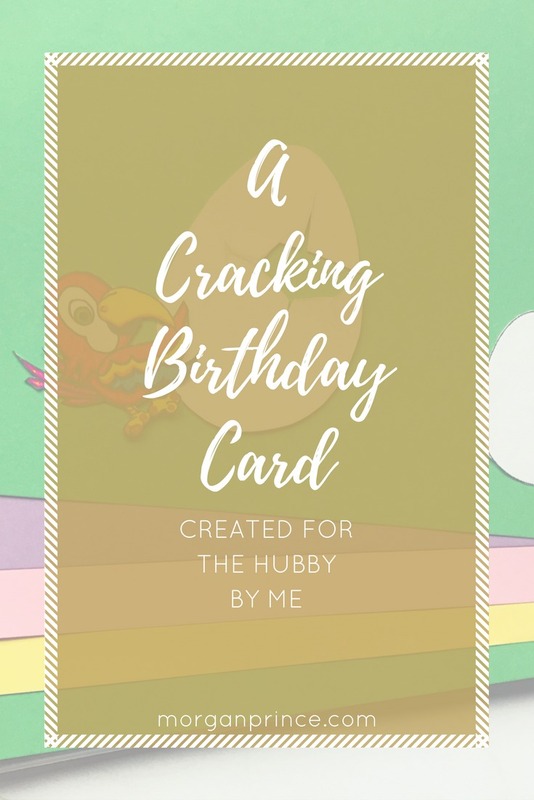 It was the Hubby's birthday last week and as my second card-making project I decided to make his birthday card. Now bearing in mind I'm still quite the novice this card was challenging. I wanted to theme the card around one of the Hubby's games, Crack Attack. Below you'll see how I made a cracking birthday card. My plan was to make a card that resembled the Crack Attack App icon. There would have to be a blue background, a gold border, and then eggs. 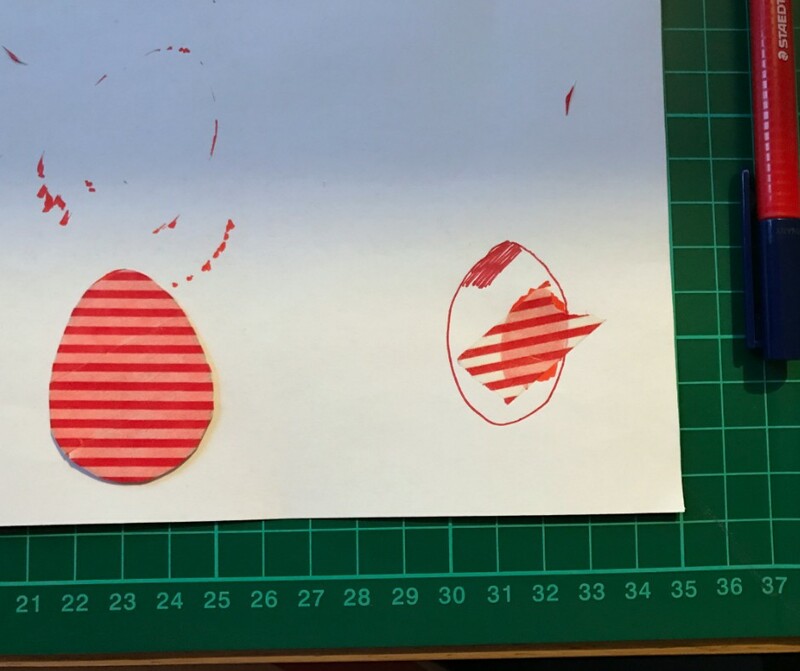 I started by printing egg templates from a google search and cut them out. I wanted the background eggs to be the same and then a slightly larger egg in front. This part was fairly easy. On the larger egg there is a crack and this was much more difficult to replicate. I first had to draw it onto my large egg and then cut it out carefully. I'm rubbish at using scissors and it took a lot longer than it should've because I was being so careful. But I managed to get pieces cut out of the large egg. 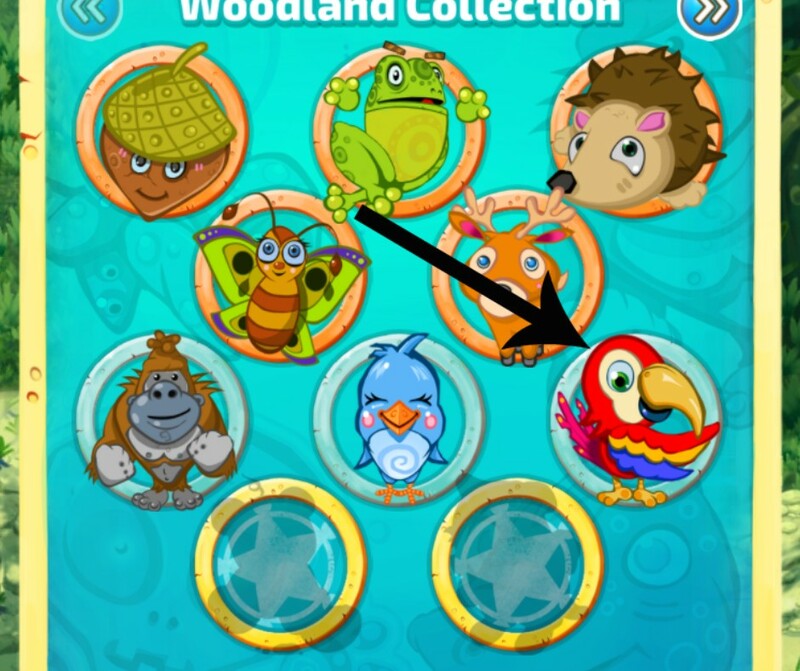 Also in Crack Attack there's a parrot that teaches you how to play the game and I thought it would be brilliant to be able to have that parrot on the card. Of course the only way I could think of doing it was to draw it and cut it out, so that's what I did. 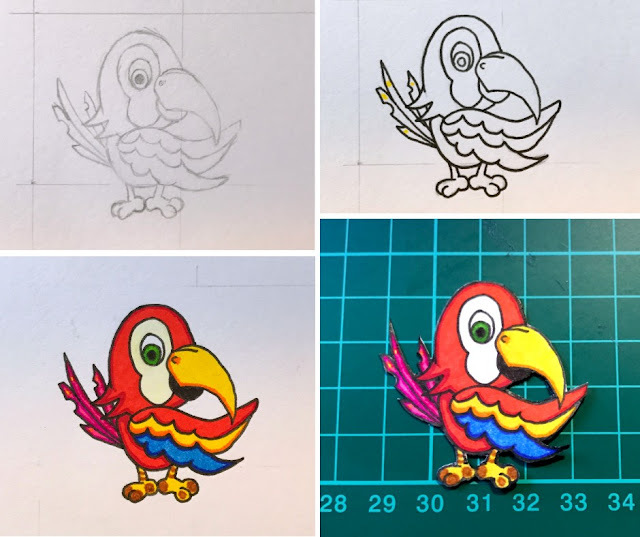 The colouring in of the parrot took a while and as you can see I tried out all my colours before colouring the parrot. Cutting it out was fiddly and because I didn't have a craft knife it was difficult, but I managed to do it without ruining the parrot. 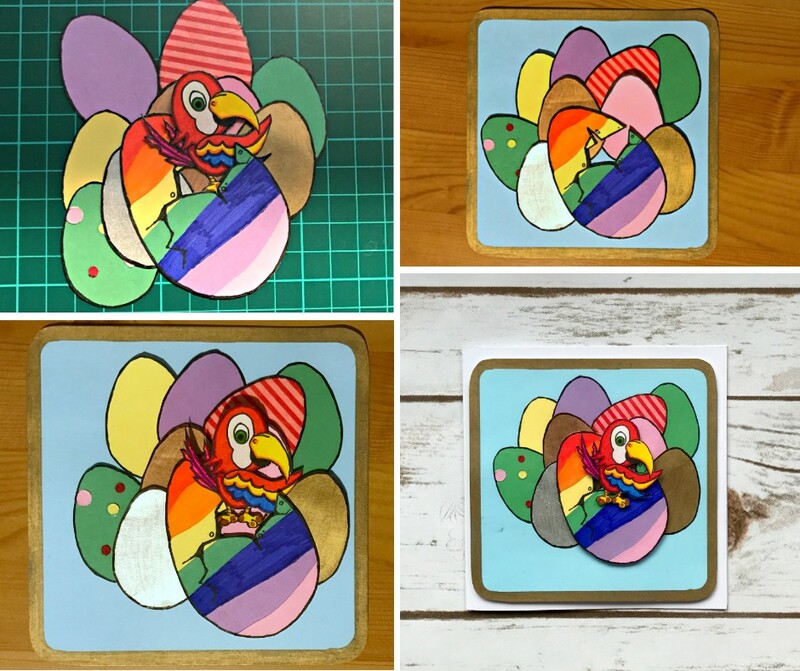 I then decided that I'd cut out my eggs from different coloured card rather than colouring them all in. There are a few different eggs in the game, striped eggs, spotted eggs, gold, bronze and silver eggs, and I wanted them all. Cue lots of cutting and colouring. For the striped egg I used washi tape, it worked really well and I'll definitely be using that tactic again. 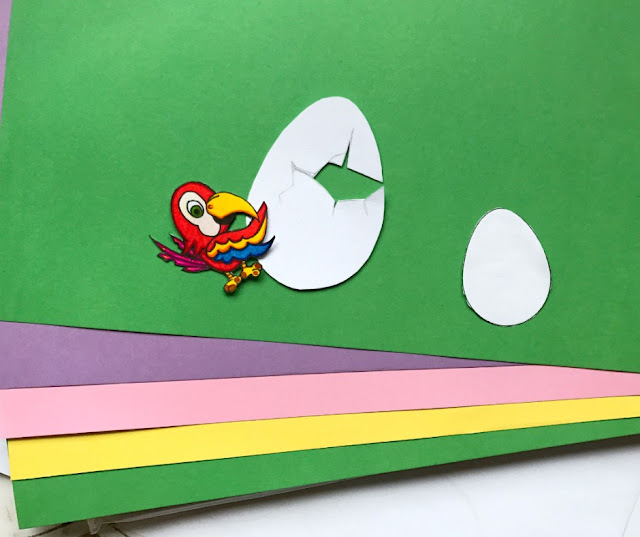 Once I had all my eggs made and cut out I could begin to place them in the order I wanted to put them on the card, taking photos as I went. With photos on hand I went about the eggs onto the blue background, they were all stuck directly onto the background using glue. 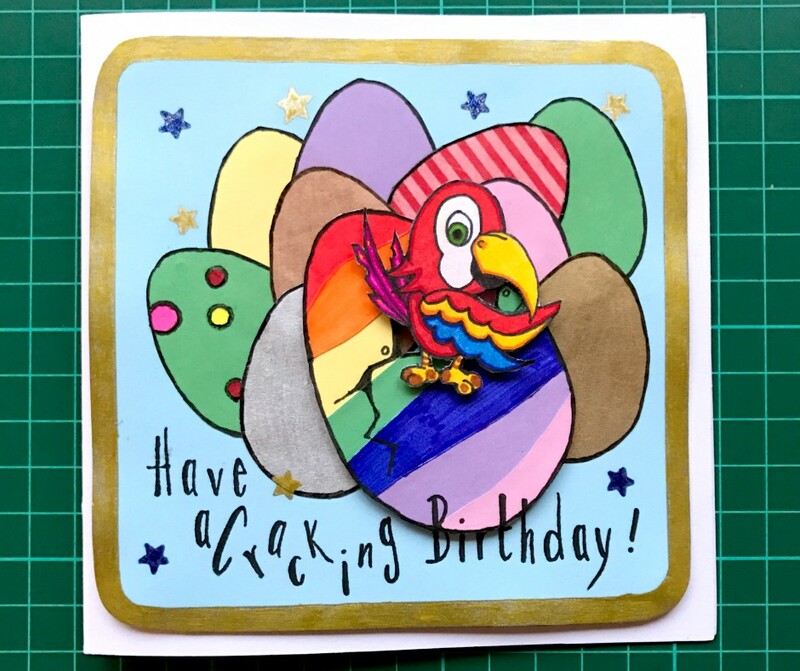 I wanted my larger egg and the parrot to stand out a little more so using adhesive foam squares I stuck the larger egg and then the parrot to the card. Using stamps I wrote the words "Have a Cracking Birthday!" on the front of the card and added a few stars (mostly to cover mistakes). It took a couple of weeks for me to finish this card, using an hour or so here and there. I learned a lot during this and will use the things I learned in future projects. Hopefully I'll get some better photos for you next time! What do you think of my Cracking birthday card?